ONE OF THE HIGHLANDS RANCH CONCERT BAND'S FORMAL CONCERTS. The Highlands Ranch Concert Band will be performing a free concert from the classic wind band repertoire on April 27th at the Goodson Rec Center at 4:00 PM. Highland’s Ranch annual music and arts festival returns for the 14th consecutive year to Civic Green Park and Amphitheater this June 22 and June 23, 2019. This free, two-day family event features a variety of music groups, with jazz and swing performances along with concert and symphonic performances. 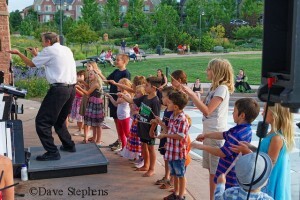 Swing Shift will be performing a free concert on June 8th at Civic Green Park at 6:00 PM. 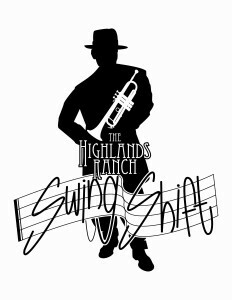 The mission of the Highlands Ranch Concert Band is for area professional and amateur musicians to provide quality, educational public concerts with a variety of musical literature; to promote an educational experience for both the musicians and the public attending the concerts; to provide band and ensemble musical arts and entertainment for this area; to provide education and entertainment experiences for the children of the region through collaborative performances and entertainment events, and to promote a spirit of community, thereby enhancing the quality of life in the region.